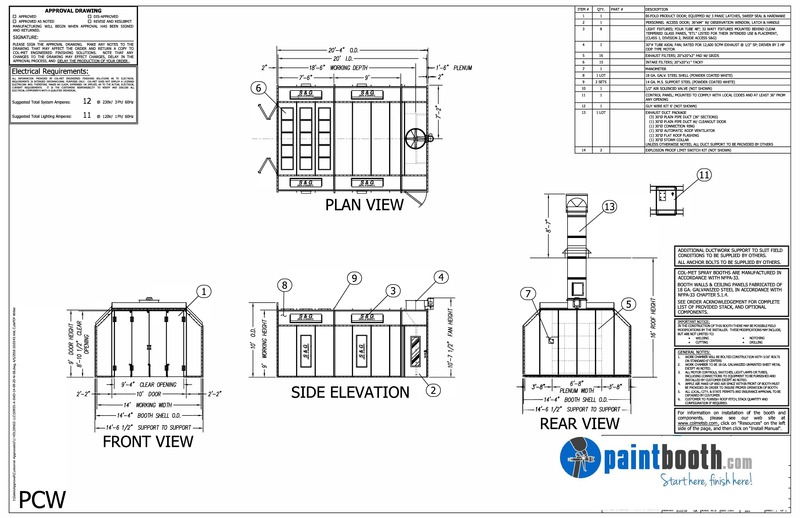 In this model spray booth, air flows in through the filtered double entry doors in the front of the booth, passes through the working area and into the filtered exhaust chamber located in the rear of the booth. This is a very popular model for cabinet, motorcycle, ATV and golf cart shops. 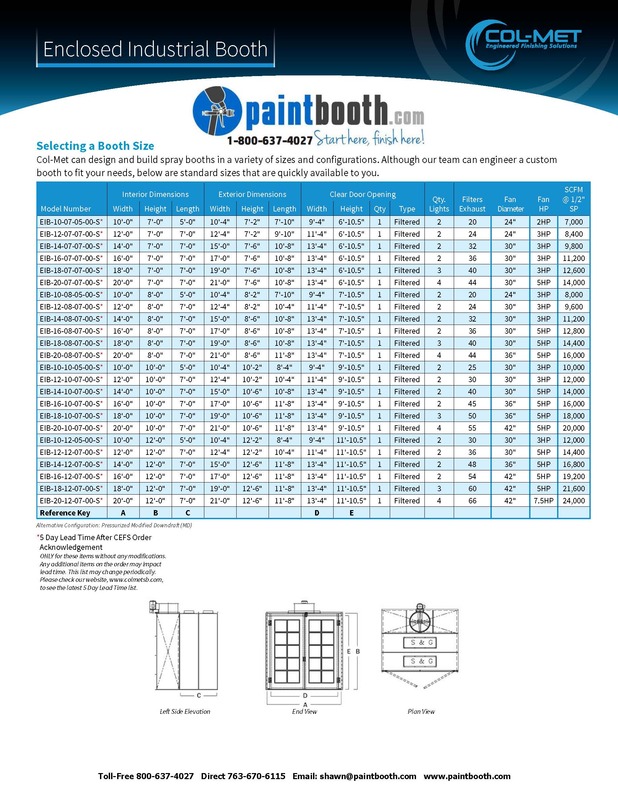 It is a versatile booth that has unlimited possibilities and uses. 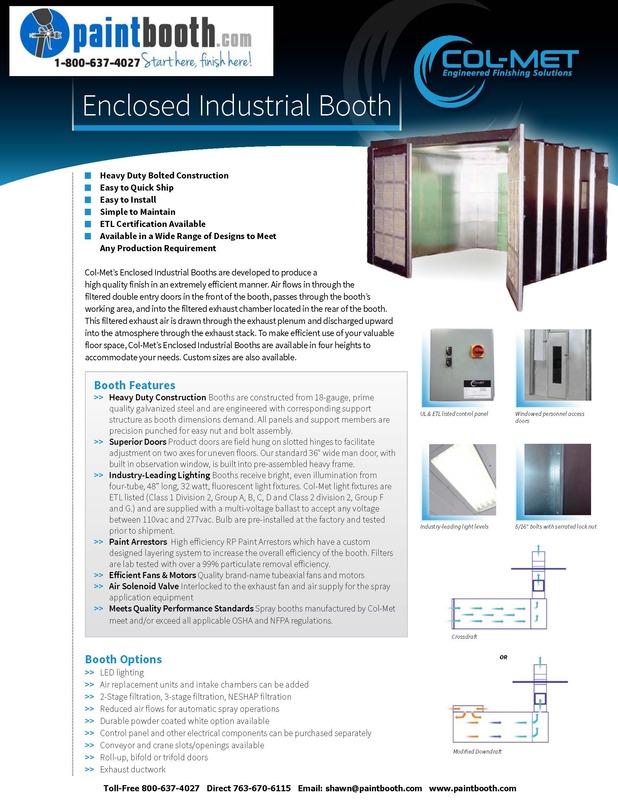 Air flows in through the filtered double entry doors in the front of the booth, passes through the working area, and into the filtered exhaust changer located in the rear of the booth. 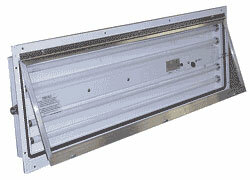 The filtered exhaust air is then drawn in and discharged upward into the atmosphere through the exhaust stack. Our VFS Series industrial paint booths make efficient use of your shops floor space and are available in three heights to fit your needs. 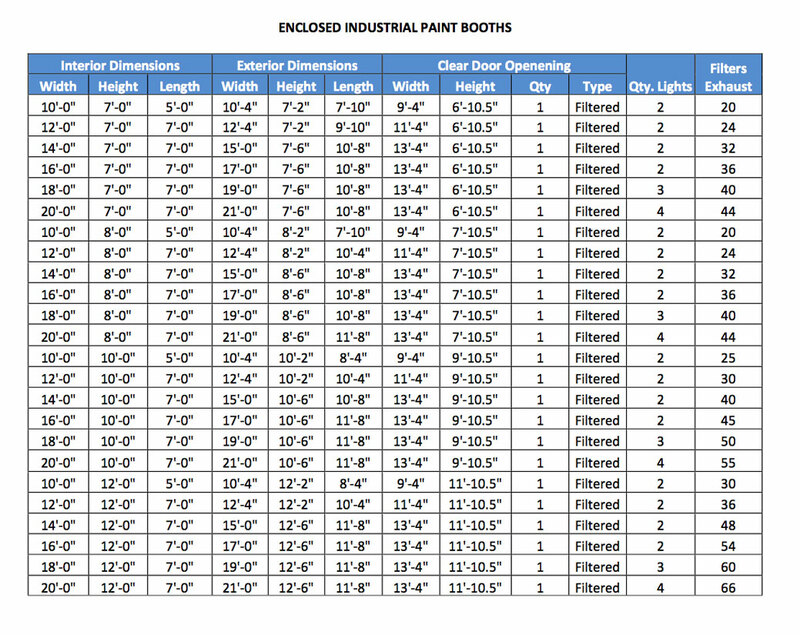 All spray booth and exhaust plenum sections are made with heavy duty 18-gauge galvanized steel. 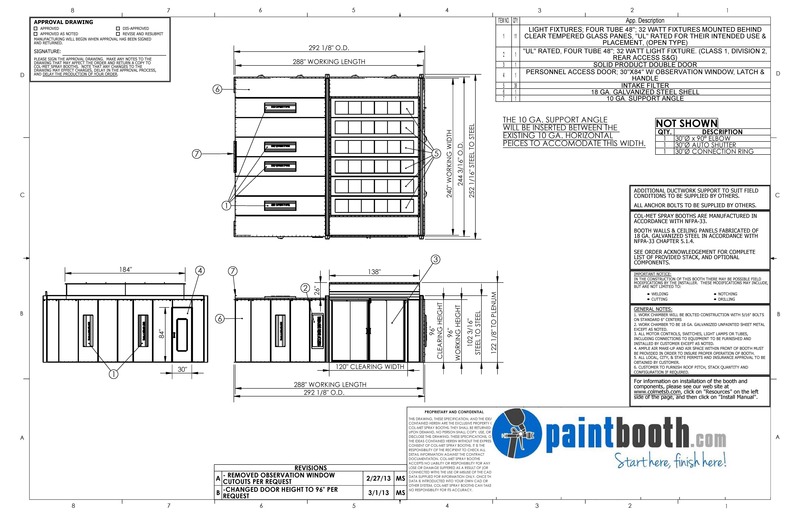 All product and personnel access doors are pre-hung for easy installation. Brixon door latches are provided for each door. 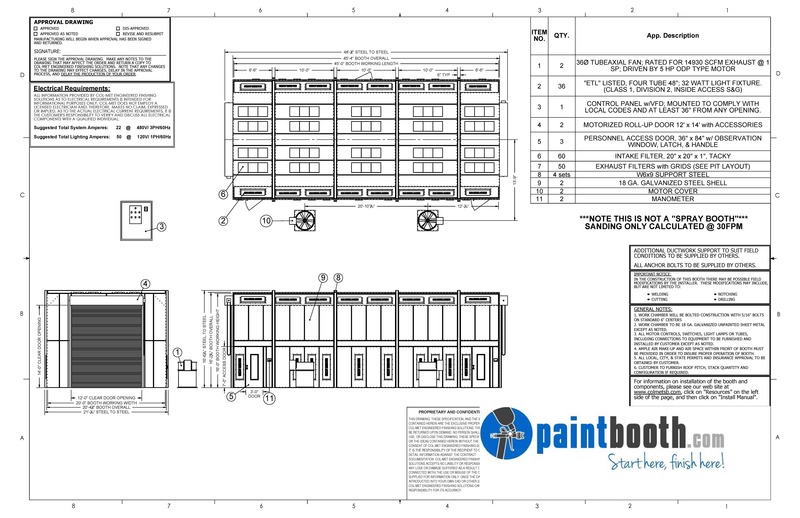 All enclosed industrial paint booth booth packages include detailed installation instructions, nuts, bolts, hardware and sealants necessary for assembly. Any necessary fire control systems are to be supplied by others. 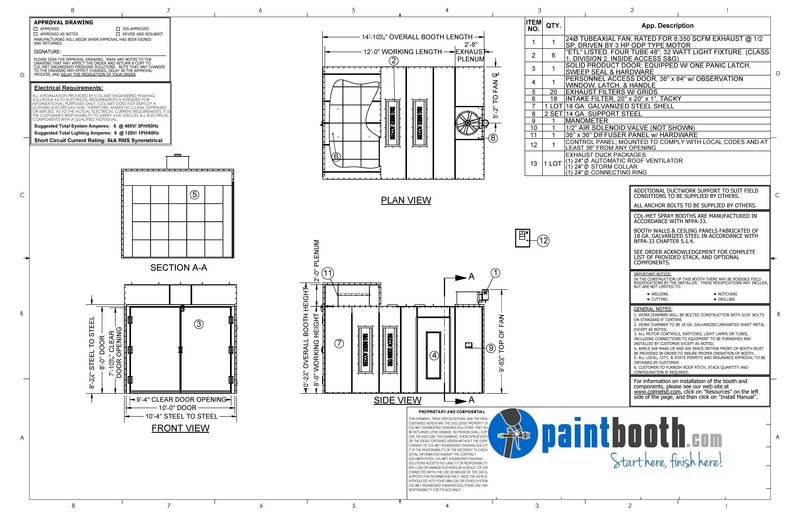 Our factory trained installation crew can get your new Enclosed Industrial Paint Booth installed correctly and quickly.